For the best appearance, good skin care is the place to start. Your skin is a reflection of your health. Be sure to eat well. Eat good oils like olive oil and flax seed oil and nuts. Stay away from hydrogenated oils, processed foods and chemically-laden foods. Drink lots of good water — that will go a long way to having good balanced skin. Next, make sure the products you use on your skin are pure. Don't use products with chemicals, preservatives and fragrances. All can irritate your skin and be absorbed into your body. Because everyone's skin is so different, as is the effect we each want to achieve, playing around with the makeup is the best way to decide what works best for you. Mineral makeup is a unique product, and because the minerals mix with your skin instead of covering it like a regular makeup, you have more variety of options for colors and application. There is no right or wrong way. Below are guidelines for those who have asked. All brushes are made with glue to hold the bristles in the handle. If you are very sensitive to glue, please keep that in mind. Click here for applications tips at bottom of page. Take the next step and get great looking eyes with our new Eye Shadow Brush. It is made with taklon bristles, a nickel ferrule and birch wood handle. 5 1/4 inches long. Our Retractable Lip Brush has a square aluminum body and nylon bristles. Pull the barrel out and the bristles appear, push it back and they disappear! 3 1/2" closed, 5 1/2" open. Take the next step and get great looking eyes with our new Eyeliner Brush. It is made with taklon bristles, a nickel ferrule and birch wood handle. 6 3/4 inches long. 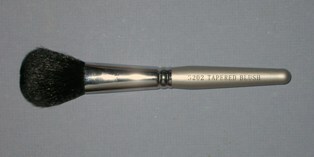 A great brush for blush or foundation. Tapered taklon bristles, a nickel ferrule and birch wood handle. 6 inches. 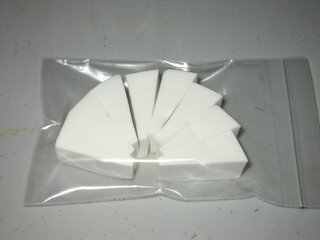 A bag of 8 sponge wedges that make application easy on the contours of your face. Need some extra tools? 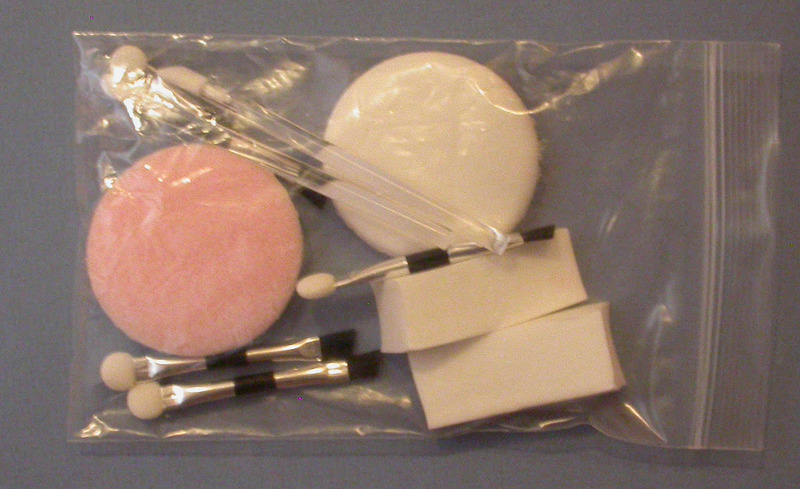 We've assembled a collection of two round flocked non-latex sponges, two non-latex sponge wedges, two eye shadow applicators, two eyeliners and two lip brushes. 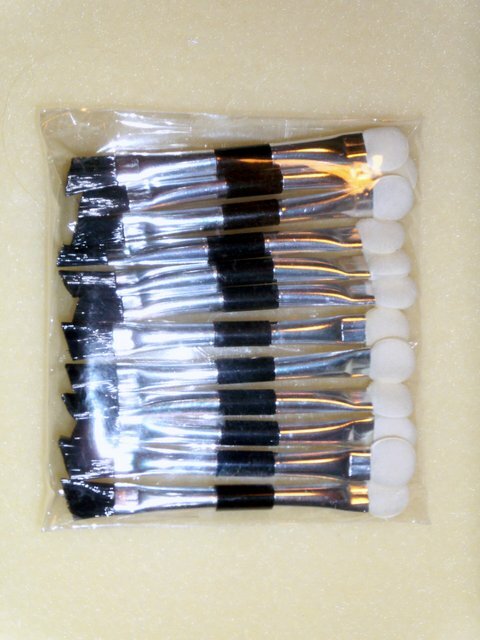 A bag of 12 eye shadow applicators. Organic Essentials Certified Organic Cotton Cosmetic Rounds are great for applying Canary Cosmetics in an even tone. Also great for removing makeup. These Organic Rounds are free of harmful chemicals and residues. Organic Essentials Certified Organic Cotton Swabs are great for putting on or taking off eye shadows. These Organic Swabs are free of harmful chemicals and residues. For longest lasting application of Canary Cosmetics, start with a small amount of good, chemical-free moisturizer. Let soak into your skin for a minute or two. If you have oily skin, you can put on a layer of Feather-Light Powder next to help absorb the oils. Simply dip a sponge in the powder and smooth lightly on your face. Lightly apply Canary Cosmetics Mineral Makeup in the foundation color that best suits you. To cover selected areas, such as dark circles under your eyes, reapply light layers until you get the coverage you need. Several light layers is more natural looking than a heavy application. With mineral makeup, always remember that a little goes a long way. For the lightest coverage, apply minerals with a brush. For good coverage, apply minerals with a sponge. To get extra coverage for problem areas, use a lightly dampened sponge. Be careful to use small amounts of water and minerals or it will cake. 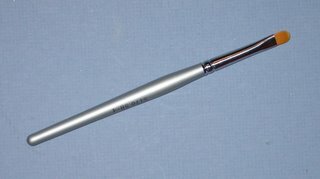 For eyeliner, a wet eyeliner brush will give a liquid line appearance. A dry brush will give a more heathered pencil look. Eye shadow can be applied with a brush for light application, a sponge for darker application. Wet applicators will give a more dramatic effect. Longest-lasting lip color is best achieved with a coat of colorful lip balm covered with dry powder applied with a lip brush. For touch-ups when you are out, the lip balm works fine by itself. For less intense color, use natural lip balm first with dry color of your choice over the top. Mix and match different colorful lip balms and powders to give yourself even more color choices. For a natural blush look, dot a small amount of powder on your face with your finger or a wedge sponge and try the Mineral Brush to smooth the blush to give a fine, natural appearance. If you want darker color, do it again. Again, light layers of application look more natural. Some people like a finishing powder at the end, but this is not necessary unless you want it. Feather-Light Powder can be used for this, but be careful. It will lighten your appearance. Use very lightly or you will have a white ghost-like appearance. You can also use a light dusting of your foundation color. A dry brush or a light brushing with the cotton rounds can also be used. Mineral powder can become airborne easily. To minimize this, a sponge works best. More minerals will get into the air with brushes. You can minimize this by lightly tapping the excess off in the lid or using the brush dampened.